Further to my presentations on the CCWNP in September, when we reviewed our progress and requested support in completing one of the most ambitious Neighbourhood Plans in the Country, covering four areas with a population of 30,000 people. organisation called Intelligent Plans and works on the examination of Neighbourhood Plans. Alison Eardley who provides support to local authorities, parish councils and community groups with a focus on neighbourhood planning and has experience of working on over 60 plans. Over the past quarter, the CCWNP Steering Group has met twice with Derek and Alison and they have been in regular communication with policy authors. We have now produced a draft document which conforms with Government and Local policy and is much tighter and more focussed compared to earlier versions, for instance, reduced from 132 pages to around 70. We have maintained our “red lines” but become more realistic about what our Plan can influence and what it cannot. We are on track to produce a document which reflects what is special about our area, less liable to challenge by developers and more accessible to our residents. You will recall that the ultimate goal is to provide policies in the Plan which strengthen the protection of what makes our areas unique and to access a much greater share of Community Infrastructure Levy (CIL) funds. We cannot “stop” development, but we can have a much greater say on how we can protect the character of our area and influence those who provide infrastructure. 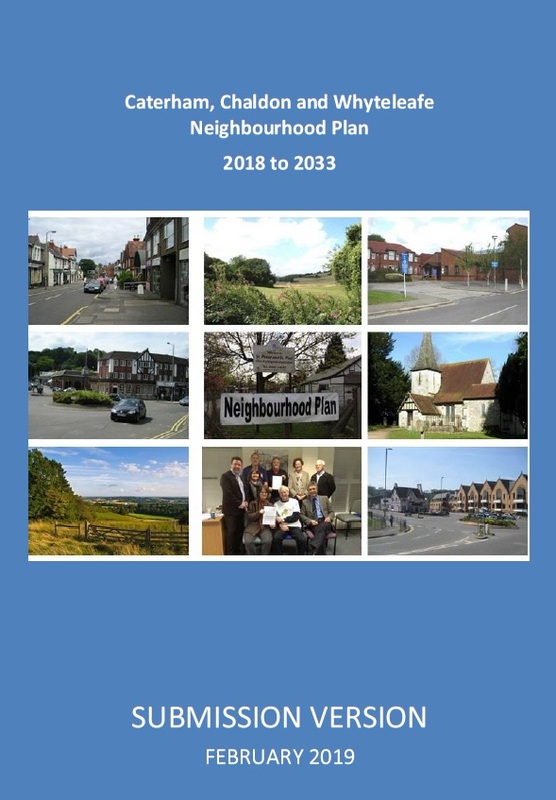 Also, however, from 24th January, Neighbourhood Plans have to align with a revised national planning framework, “NPPF2”, as well as remaining in conformance with the emerging Tandridge Local Plan. We are therefore going to ensure that our policies conform with these and will not present our plan in a “finished” state for examination until we are sure of this. We are seeking urgent help from our colleagues at Locality to secure input from appropriately qualified people to help do this. Locality is a membership network that has the resources to support community organisations and the preparation of neighbourhood plans. As it is TDC who are allocating development sites and not us, revising these statements should be a straightforward revision of previous work. However, when Neighbourhood Plans are examined, these assessments are regarded as very important and plans can fail if they are absent. This is why we need expert help to do this. I have also formed a sub-group to the main Steering Group to make sure we get our supporting documentation in order and up to date. Neighbourhood Plans are intended to give more authority to local areas in determining how development is managed but we must tick all the boxes if we are to succeed with our Plan and avoid legal and other challenges later. This not only includes the provision of the above assessments but also other supporting documentation such as the proper collation of evidence documents and Basic Conditions, Consultation and Local Green Spaces Statements. We also have to guide our plan through a complex planning environment locally as TDC works on its “Emerging” Local Plan and presents that for examination. We have therefore asked for Derek Stebbing to be allowed to continue to support us until we know we have a viable Plan. Thanks also to support from the Parishes and Village Councils, we have the resources to retain the policy analysis and drafting skills of Alison Eardley. difference. We look forward to a successful conclusion.